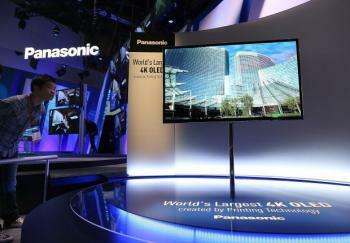 According to OLEDW (quoting Japan's Sankei Shimbun), Sony and Panasonic are planning to setup an OLED TV production joint venture in 2013. There's no production schedule, but it's likely that Sony and Panasonic are aiming to start doing so in 2014 or 2015. The two companies announced their OLED technology partnership in June 2012 - saying that the two companies will jointly develop printing based technologies for OLED TV mass production. Back then it was rumored that they may indeed choose to do the actual production together as well, but nothing has been decided till now. 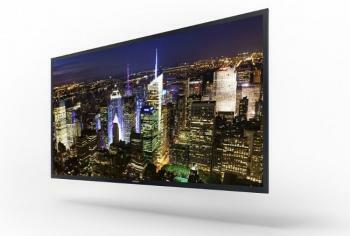 During CES 2013 the two companies unveiled 56" 4K2K OLED TV prototypes. Sony used evaporation materials and processes to deposit the OLED layers while Panasonic used printing technologies. The substrate of these two panels was produced at AU Optronics. It's not clear what will happen to the Sony-AUO collaboration now. It's likely that this new JV will use printing technologies - for at least some of the organic layers. In January 2013 it was suggested that Panasonic plans to stop producing LCD TV panels in its Himeji plant, and instead use the fab to produce OLED TVs and 4K 20" tablet LCD panels. It's possible that this is still the plan, but Sony will step in to become a partner in that fab. The Korean companies are currently leading the OLED TV race, with LG already shipping 55" OLED TV panels in Korea (for $10,000) and Samsung planning to start shipping OLED TVs in the first half of 2013. Panasonic and Sony are playing catch up, but they hope that their printing technologies will allow them to produce cheaper panels.